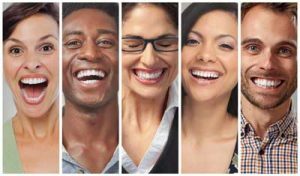 At New Image Dentistry we pride ourselves on the beautiful smiles at our practice every day. Did you know your smile is one of the first things people notice about you? You don’t have to live with a smile that’s less than pearly white! Teeth can discolor due to aging, certain types of medications (tetracycline, etc. ), fluoride stains, tobacco products, tooth trauma, and ingesting certain substances such as coffee, tea, dark pop, red wine, etc. Also, if a tooth is non-vital, it will darken. Professional whitening is the best option for safely lightening teeth. Teeth whitening (or bleaching) is a simple, non-invasive dental treatment used to lighten the color of natural tooth enamel and is an ideal way to enhance the beauty of your smile. If you’re a patient at New Image Cosmetic and Family Dentistry, you can choose either the custom made take-home bleaching trays or our in-office Smile White Whitening system which will be given to you FREE OF CHARGE every year at your yearly exam. Learn more below! Would you like to have access to professional teeth whitening every year for FREE? Introducing our NEW White for Life Teeth Whitening Program! At-home whitening with the guidance of a professional dentist! Opalescence is proven to be a safe and effective whitening system, and it can be completed in the comfort of your own home. What Should I Consider Before Whitening? Crowns and Fillings: While whitening has no effect on crowns or fillings, tooth whitening only whitens the natural tooth enamel; therefore, it is important to evaluate the shade of existing fillings, crowns, etc., as well as the need for future mouth restorations before bleaching. Replacement of any restorations should be completed 7-10 days after bleaching so the Doctor can accurately match the newly bleached teeth. Gum Health: We consider your health and safety above all else. Patients that are experiencing periodontal gum disease may experience tissue damage from the bleaching solutions; therefore it is essential that we evaluate the health of your gums before proceeding with the whitening process. Tooth whitening is not permanent. A touch-up maybe needed every several years, and more often if you smoke, drink coffee, tea, or wine. The most important part of maintaining a white smile is daily oral hygiene and brushing shortly after consuming staining foods and beverages. 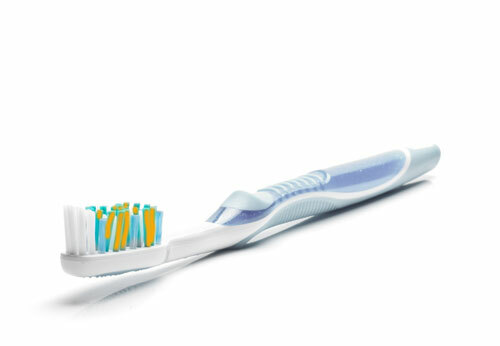 Regular professional cleanings will also help keep your teeth healthy and white. As time passes, your teeth may naturally darken slightly. However, by ordering our take-home refill kit, you can apply a booster whitening as needed. In order to help you achieve the final glow quicker, the refill is a stronger solution than the normal whitening gel (35% as opposed to 25%).